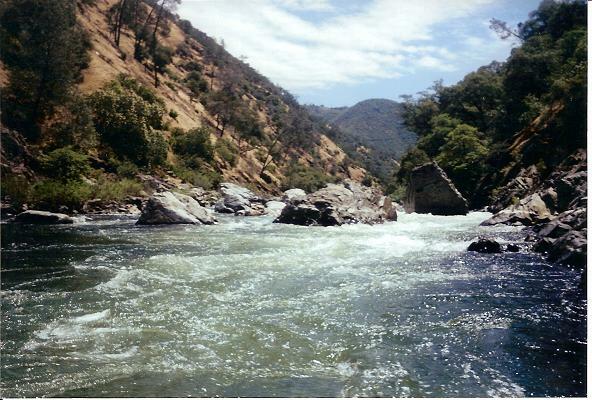 This run was once the premier whitewater in California. Since then, this run has become a classic due to its fun class IV rapids, excellent solitude and scenery in addition to lack of crowds. 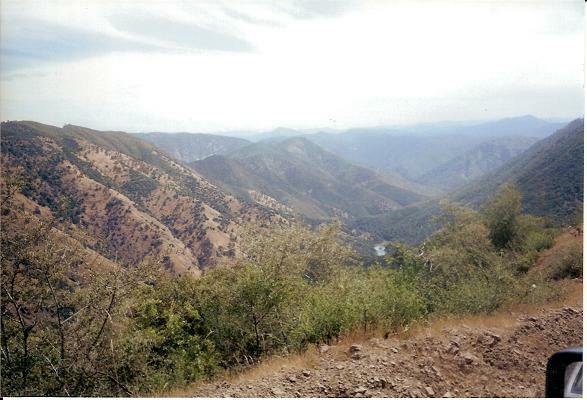 This run was spared the fate of the Forks of the American due to the Forest Service’s actions limiting the number of commercial as well as private trips per day. It is because of this that anyone interested in running this river has to obtain a permit before hand. During optimal flows reservations will be needed as the permits disappear quickly, however during lower flows one can usually show up at the Forest Service office the morning of the run and get a permit. Pay special care to the flow of the river the day you set out. This run changes more then most runs with the ebb of the flow. Above 8,000 cfs this river is a solid class V river so I have heard, so gauge your paddling level when you are looking at the river gauge. Also, I did this run a when I was just beginning, hence the rapid classes may be inflated, I guess I need to go back and see. Rock Garden (IV). Kayakers they can take the left side down the entire river, however rafts at low flows are required to make a ferry from the right side of the river to the left. This Rapid along with “Nemesis” have cause more than their fair share of wraps. Nemesis (IV). Same idea, boulder garden most safely run on the left at low flows. Sunderland’s Chute (IV+). A series of holes pushes boats right and into a large hole that should be avoided. At low levels this hole becomes a rock. I ran the hole on accident my first time down…in my playboat, and was happy and surprised when all worked out alright. That line would not be recommended. A scout can be performed on the right, but with much difficulty. Hackamack’s Hole (IV). A drop that at higher flows forms a large reversal lies between two mid-river rocks. Ram’s Head (IV-V). This rapid is class Vish even at moderate flows. The rapid take place on a left bend. Stop and scout on either bank, be sure to scout the rapid in its entirety. India and Lower India (IV). Two chutes with drops near the end. Both rapids’ drops can be plugged with rocks. Scout both at the same time for the left bank. Stern (IV). This rapid isn’t hard for kayakers but can cause problems for rafts. It takes place on a long straightaway midway through the fourth mile. On the left side, between the wall and the house rock, there is a small chute with a diagonal hole. Enter with a little angle so that the hole will straighten you out. A sideways boat in the chute could cause damage to your equipment. Bent Thole Pin (III+). This is a rapid that is hard to remember since one minute later you are looking at “Clavey” so I will do my best. A series of drops with a rock wall on the left. Multiple routes are possible. Clavey Falls (V). Recognition: The Clavey River enters on river right. Stop to scout on right or left bank (depending on which side you plan on running. Both sides should be scouted if being run.) The right side consists of a rocky 8-foot drop. The left side consists of three smaller drops. Both channels join for the final two moves. Just down stream is a rock with a huge recirculatory hole to the left of it, stretching to the wall. The right channel pushes boaters over towards this hole while the left channel allows easier avoidance. Again just down river is a rock to the left of center. Avoid the immediate left of this rock, it has a corral that can cause much harm. Paddle to the clear left of it. Portage on right if needed. Also, there is a trail upstream on the left bank that leads out of the canyon if needed for an emergency. Gray’s Grindstone (IV). This rapid is one of the most fun at higher flows. The rapid is roughly one mile long and is a maze through boulders, holes, and waves. There is a wave train near the top that has what looks like standing waves, however nearly all of them have rocks hiding in them, beware. Thread the Needle (IV). A Cheat route lies on the left which most take instead of attempting to thread the needle between rocks. Cabin (IV). 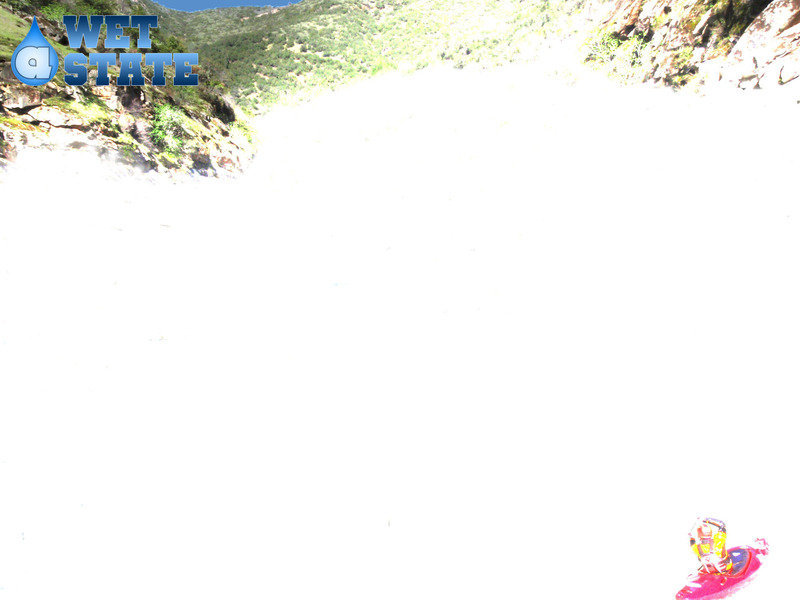 Big Humbug Creek enters on the left, rapid bends down a chute with a hole near the top. Hell’s Kitchen (IV). A boulder garden with a zig-zag-then-zig again sort of line down the left side. North Fork of the Tuolumne enters, almost done. High water mark for the reservoir, hope it isn’t this high. Pinball (III). 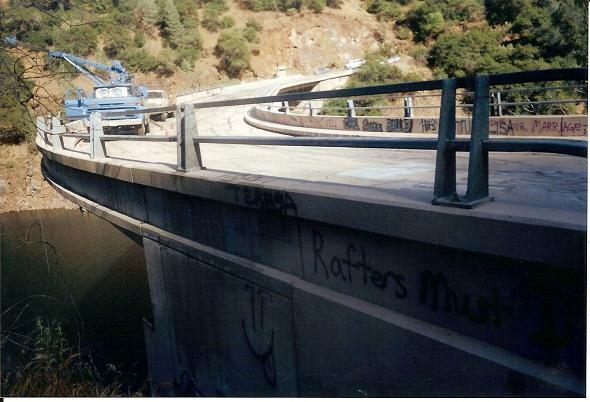 If this rapid has not been drowned by the reservoir, it is apparently still only a ghost of its past self. Sediment has filled in the rocks for the time being, but rumor has it that after a few years of drought, the sediment washes away and the rapid becomes class IV. Take out: Turn off of Highway 120 onto Ward’s Ferry Road (at Big Oak Flat, a couple of miles west of Groveland). Follow it seven miles to the bridge across the New Don Pedro Reservoir. Put in: Drive East on Highway 120 for about eight miles. Turn left onto Ferretti Road. After the one-mile and the second cattle guard, take the immediate right onto Lumsden Road. This road is dirt and very rough at times, high clearance is recommended but not necessarily required. -This shuttle does take at least an hour, so plan your time accordingly.